Have there been any 3-wheel bots in competition? Were they competitive? Yes, my team had one during VRC Skyrise season. No, unfortunately, it wasn’t competitive. The robot was weird in more than one way. That 857 joystick idea is a genius workaround! Must look silly though. I like the math better. The “Kiwi Drive Bot” build is fragile. One student rebuilt the bumper extensions so they wouldn’t fall off so easy. 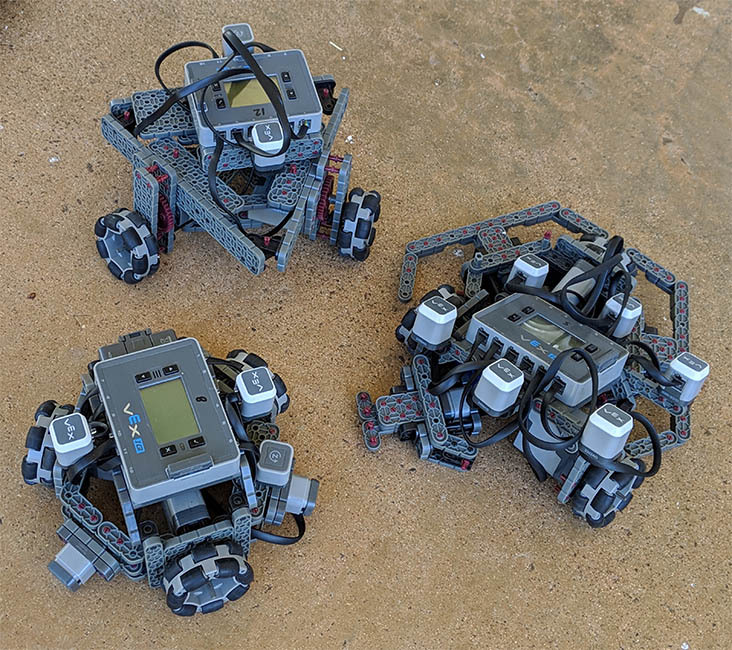 Last season my students built a 3 wheel triangular base that had a turntable with a claw attached. The logic was that the triangle in front would let them push cones aside without violating the rules on possession/control. Then they could drag a base to the hand loader and stack using the claw. The three wheel/triangle lasted only through the first meet of local league play. While it was competitive for early season it was unstable. The whole thing was like a claw machine on wheels. 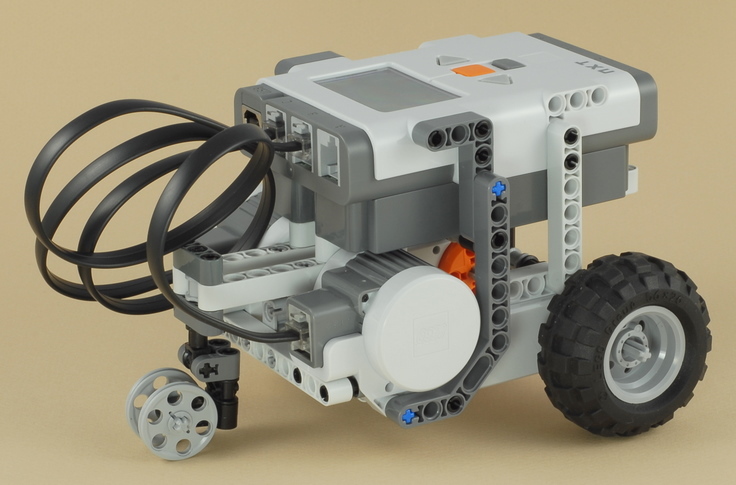 Not in Vex IQ, but I actually did see one this season in VRC, back in January. It essentially was a kit clawbot with two base wheels, and a wheel in the back. Although they were bottom 5 at that comp, when we went against them, I had to tell them how unique that design was. I was going to ask in VRC since I guess some have IQ muted. Pics or vids anyone? 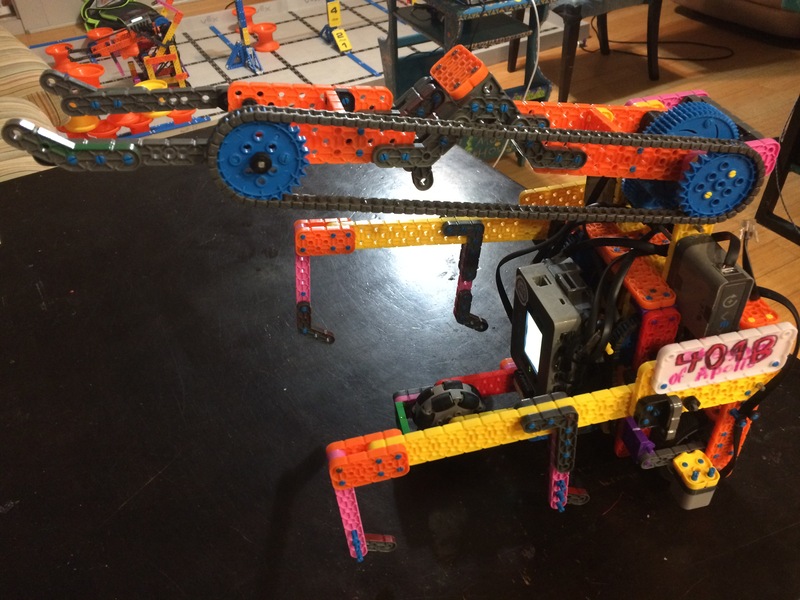 I was in FLL before VEX and we built a robot like this. The base evolved into something more standard. The claw moved to a 3 stage lift but still on the turntable - they ended up getting a Create Award for the final design. Yes, the early version looks “theoretical”. iirc that’s pretty close to what went to the first meet - the “tow hook” for the mobile goal isn’t there yet. If you got the claw in the wrong place it would start to tip. Despite all that the team went 4-0 in early league qualifiers with it because it was the best stacker in the region that early in the year. 409B had this tricycle bot for awhile. It was competitive mid season. 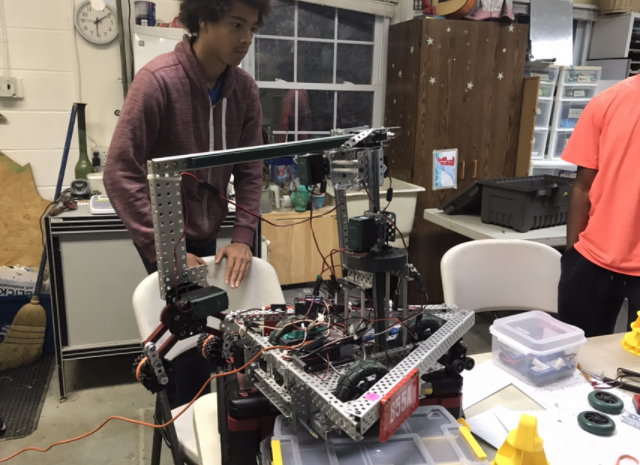 In the off-season, our team experimented with different drives and ended up building a Kiwi. It was somewhat awkward to drive and had multiple structural issues (which may or may not be because of our quick build time and questionable design quality) making it a pain to fix. I wouldn’t recommend building one for the actual competition, but is was fun to mess around with. Well, I guess three wheeled robots may only be good for games where you need to turn a lot on the spot and short on motors, but are not suited for most of the VRC games where robots need to play defense because of the inherent instability of the base. That Skyrise robot was pretty much what six graders, who just joined vex, thought would be the best robot to reach the height. A bit of embarrassing to look back on it now. @rhowbot what was a motivation for the study, if not secret? Left 2 are from pics we saw on websearch, right one kiwibot in typical condition. Guess we’ll try the blue pins next. from Damien Kee’s miniVEX with official Speed Build behind. Yes, I like the trikes. Does someone else want to ask OP question in EDR?